Verve has created a diversified portfolio of multi-service retirement residences across Canada. The successful identification of new development sites, strong partnerships, interaction with community leaders and the efficient management of building development has ensured well-received and seamless integration of our homes. Since 2007, this platform has facilitated the development and acquisition of 1,350 units in 10 residences across Canada. We have the proven ability to provide developments customized to suit the needs of Canadian communities. This experience has positioned the Verve Group to expand our services, ensuring the care and housing needs of our aging population are successfully met. 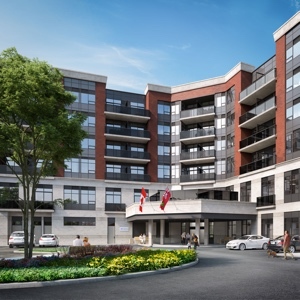 Centrally located in the town of Stouffville, this brownfield redevelopment satisfied a high demand for retirement living and helped to revitalize the downtown core. 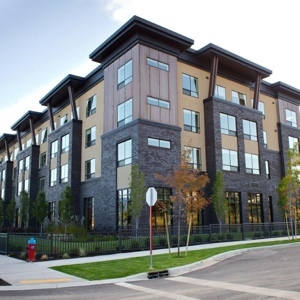 This 118-unit development was the first of Verve’s properties to utilize a composite steel structure. A 160 unit retirement residence offering both independent and assisted living, allowing residents to age in place as care needs evolve. The building is conveniently located in Vaughan at the corner of Dufferin St. and Steeles Ave., steps from community amenities. The Roxborough has been a success since opening in 2010. The 148 unit independent living retirement residence is located in a lovely neighborhood just steps away from public transit and state of the art Southlake Regional Health Centre. A 17 storey mixed-use development that opened in 2012. The residence is ideal for individuals who enjoy the many things North York has to offer, all within walking distance. The urban location will serve as a template for future metro area developments. 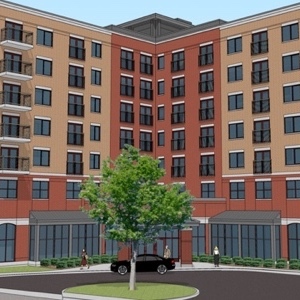 A 130-unit building offering an independent-living service platform. Since opening in 2012, Richmond Hill allows residents convenient access to local amenities in a well established community. The facility is one of six Verve developments featuring a ground source geothermal heat pump system. Port Credit Residences is a beautiful 6 storey, 150 suite residence offering Independent Living and care services as required. 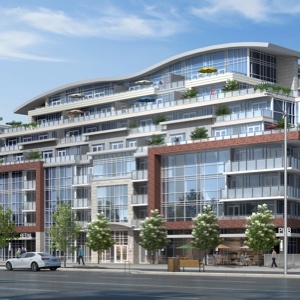 With outstanding views of Lake Ontario and located in the heart of the vibrant Port Credit neighborhood, making it the ideal place for Inspired Senior Living. Opened in 2014, the 145 unit state of the art building offers residents the opportunity to enjoy local beaches, parks, walking and biking trails, wineries, vineyards, fresh fruit orchards and shopping. 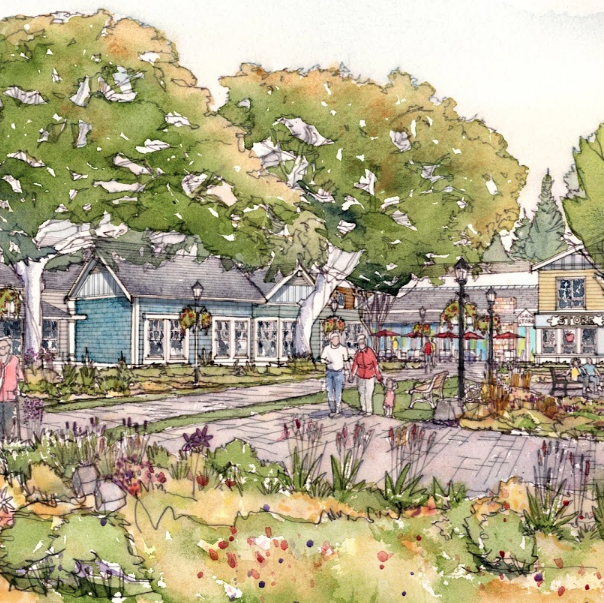 The planned phase two development will offer residents more diversified care options. A 6 storey building located in the Town of Oakville, this 116 unit building offers suites ranging from studios to 2 bedrooms. The project offers Independent Living and care services as required by residents. The development is located on Dundas St. W. within 2km of Oakville Trafalgar Memorial Hospital. This 133-unit facility offers independent and assisted living suites alongside two memory-care households. This novel mixed-service platform will allow members of the Streetsville community and greater Mississauga to age in place as their needs evolve. Holland Gardens Retirement Residence: 552 Holland St. W.
Located in the fast growing community of Bradford Ontario, this continuum care retirement residence will service the unmet need for a facility of this type in the local area. 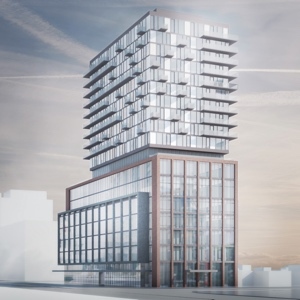 The 6 storey, 138 unit development is located on Holland St. W. within walking distance to retail and service amenities. Verve and the Bradford community are very excited about this upcoming project. The Heritage Phase II: 3630 Brown Rd. Verve has recently acquired the adjacent parcel of land to The Heritage and plans to construct a 72-unit, 3 storey addition. This expansion will consist of Memory Care and Assisted Living suites, with a connection to the existing facility and the sharing of amenities, thus giving The Heritage a full continuum of care capability. The acquisition of 905 Don Mills Rd. will allow Verve to develop a full continuum care facility within the heart of the established Don Mills community. Located in close proximity to transit and within walking distance to the Shops at Don Mills. 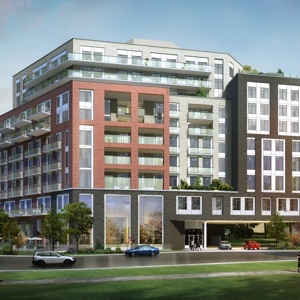 A next evolution senior housing development will see the retirement residence developed in a mixed use setting on the border of The Kingsway and Islington Village communities. The project will include a mix a retail, office and a continuum care retirement residence. The Shores of Port Credit: 280 Lakeshore Rd. W.
Introducing Port Credit’s first fully integrated Adult Lifestyle Community – The Shores of Port Credit. Ranging from exclusive town homes, seniors apartments and a full service retirement residence. Spend your day your way. Take advantage of your proximity to the waterfront, boutique shops, dining and entertainment in the Lakeshore neighbourhood you know and love. Expected to open mid-2020. For more information visit www.theshoresofportcredit.com and register with us today. Carp Commons Retirement Village is a 7 story building with 129 suites and offers Independent Living, Assisted Living and Memory Care households. Residents are within walking distance to several small boutique style shops and the famous Alice’s Café. This new senior living building is expected to open early 2019. As new building design and technologies emerge and the needs of our residents and communities change, we will continue to implement innovative ideas to maximize customer satisfaction and energy and cost-efficiencies. New developments will benefit from experiences to date and be developed to meet the current and future demands. The next evolution of projects will see hotel style amenities such as wellness centres, multiple dining experiences and electronic suite entry systems. Continuum care residences will include specialized assisted living and memory care suites and amenities. Verve is a leader in the design and implementation of geothermal heating and cooling in the commercial marketplace. We currently operate six projects that utilize ground source heat pump systems and plan to implement these systems in future developments. Looking to partner with us on a new development?